Governments are recognizing that sharing economy platforms can provide a vital link between needs and resources in times of disaster. Public officials who’ve been at the center of response and recovery efforts reminisce on what went wrong and right, what works and what doesn’t, and how their experiences might be useful for others. Check out our sister publications for more on resiliency efforts across the country. 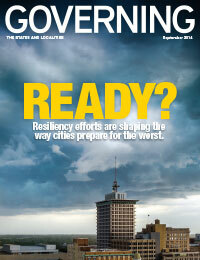 Governing: The newfound enthusiasm for “resilience” is changing local policy across the country. In coastal cities such as Norfolk, Va., as well as inland places like Dubuque, Iowa, resiliency efforts are helping address longstanding problems and anticipate new ones. 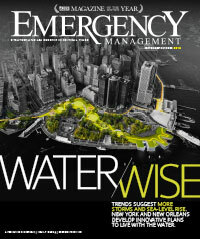 Emergency Management: Moving beyond traditional flood remediation efforts, New York City and New Orleans are learning to “live with the water.” By reimagining their cities as flexible networks relying on natural processes, officials plan to mitigate heavier concentrations of rain and flooding. Climate researchers predict sea-level rise will eventually submerge 316 coastal cities in the U.S. How are government data center managers planning for the future? Governments team up to develop backup arrangements for tech services in the event of an emergency. Neighborhood-level maps illuminate the conditions faced by families and children in the area, all while protecting personal information.